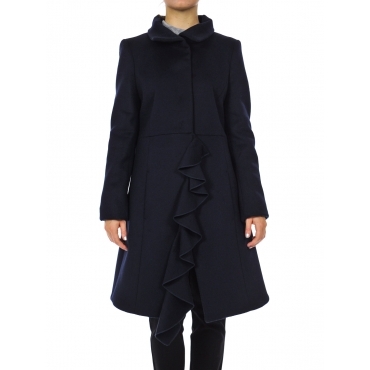 What is better than a soft and enfolding coat to face the winter with style? Choose according to your tastes and needs. 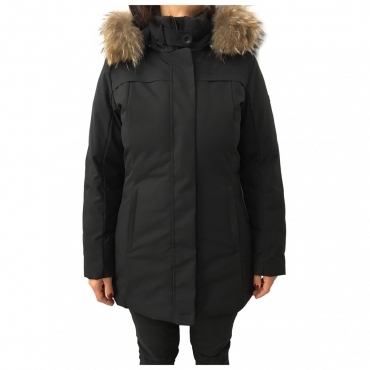 Our proposals of feminine outerwear are many and able to satisfy every need: from wool coat to sports bomber, from classic trench to a more contemporary model, here you will find what you are looking for. There are items that cannot just be missing in your wardrobe for the cold season. A waterproof trench, with classic cut and from neutral color, it will be your best friend on rainy days. Choose then a coat with contemporary details for a special nights, without forgetting the timeless elegance of a black jacket. Or you can choose a small egg-shaped coat that follow the trends of the season. Checked prints for a traditional taste and soft feathers paddings will guarantee you a warm cuddle in the winter months. Alternates small bon ton coars and sporty bombers to have the right item for every look. If the materials and cutting is fundamental in the choice of your coat, equally important are the style and colors that you are going to wear. Choose whether to follow the fashionable woman style, with the bright colors, pastel colors and original prints or rely to the great classics. There are the pattern that we found in also in the male models, and the neutral colors such as black, blue, gray and the camel will never go out of fashion. Dare with details: fur inserts, ethnic embroidery and precious applications will give a unique touch even the simplest of parka.